Union retail workers are teaming up with area grocers and The Leukemia & Lymphoma Society this month to fight cancer, forging a bond they hope will catch on nationwide. 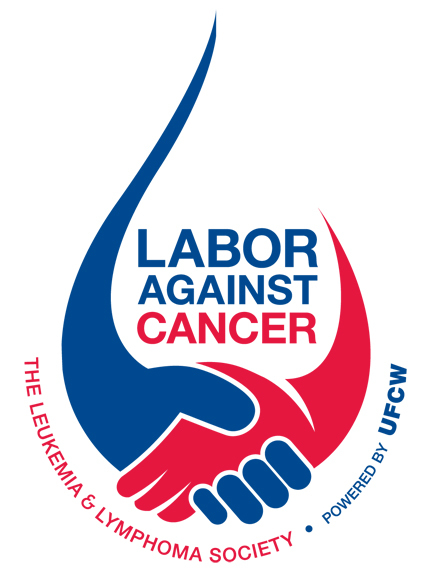 The Labor Against Cancer campaign will encourage customers at several union grocery stores to donate $1 or more at checkout, with proceeds supporting cancer research and copay support. The campaign runs from St. Patrick’s Day through March 31. The United Food and Commercial Workers, which represents retail workers nationwide, has a 36-year relationship with the LLS, and union members have raised over $86 million for the organization over that time. But the new campaign, piloted by UFCW locals 1189 and 653, brings union employers and their customers into the fold, with hopes of expanding the fundraising drive’s public profile – and improving its results. UFCW Local 1189 President Jennifer Christensen and member Dean Nelson of South St. Paul join a Labor Against Cancer kickoff event. Jennifer Christensen, president of St. Paul-based UFCW Local 1189, credited participating employers for “taking the big leap to work with us” on the campaign. 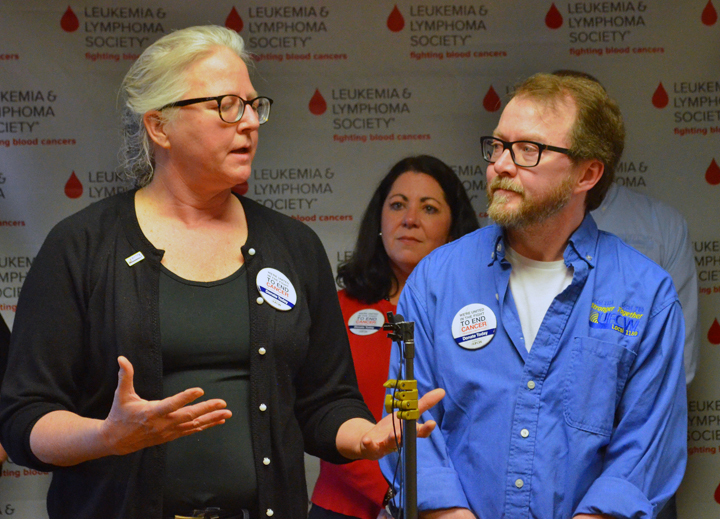 Blood cancer survivors from both local unions attended a campaign kickoff event at the LLS chapter’s Minneapolis offices Thursday. Dean Nelson, a meat cutter in the Midway Cub Foods, said his recovery from chronic myeloid leukemia diagnosis was “a walk in the park” thanks to lifesaving medication discovered as a result of LLS-funded research. And the medication was affordable, Nelson added, because of his union-negotiated health insurance. He pays $15 per paycheck toward premiums and a $600 copay on medication that costs $176,000 per year. Raising awareness of union retailers, Christensen said, is an added bonus of the Labor Against Cancer campaign. “I think it’s important that we set our union employers apart from some of the competition, in the way that they support the folks that work there,” she said.